It’s Never To Late To Save Your Program Money ! Check Out Our Insurance Program Today ! Fall field renovation and fall overseeding of warm season grasses is coming fast. It’s time to start shopping for your seed. The 2016 crop of seed is in the midst of harvesting and will soon hit your suppliers shelves. It pays to be vigilant about the seed you will be purchasing. If you purchase strictly by price, remember the old saying, “you get what you paid for”. Old crop (last year’s) with a lower germination percentage and grass seed that contains a percentage of weed seed often are some of the reasons for lower priced seed. I don’t know about you, but if it’s going into MY field, it better be clean. Read the seed tag. Reference this excellent educational piece by Penn State’s department of Plant Science: Turfgrass Seed and Seed Mixtures. Be sure to read this piece before you make your next grass seed purchase so you can be an informed buyer. Designed for grooming small areas like the mound and baselines. Exclusive Steel Mat Mop: use smm10 during checkout (offer valid thru July 31). Hang this sign on any fence where soft toss is not allowed to preserve the integrity of your chain link fence and prevent concave fences. Exclusive No Soft Toss Ballpark Sign: use noST10 during checkout (offer valid thru July 31). Softball Tourney Begins in Evansville, IN ! Festivities have begun at Deaconess Sports Park in Evansville for the National Softball Association’s Girls’ Fast Pitch “B” World Series Tournament. The Evansville Convention & Visitors Bureau says the week-long event, which features more than 225 teams from 15 states, is expected to bring $2.1 million to the local economy. 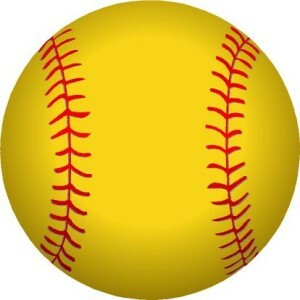 The tournament is also taking place at Vann Park in Newburgh and the Owensboro Softball Complex and Panther Creek Park in Owensboro Kentucky. It is the largest sporting event being held in the region with more than 8,500 visitors expected, according to the ECVB. The $16.5 million Deaconess Sports Park opened in May 2015. The tournament runs from Monday through July 24. It features players ranging in age from eight to 18 years-old. Field Day activities will take place Monday at Deaconess Sports Park, followed by a parade and an official opening ceremony. Games begin at 8:00 a.m. Tuesday through Friday with the championship games on Friday or Saturday. This bat and ball holder mounts easily to the fence and features heady-duty molded plastic construction. Exclusive Battyshack: use batty10 during checkout (offer valid thru July 24). They handle easy and wear hard. These made in the USA, high-quality tarps include spurred, rolled rim grommets every 3 to 4 ft. Exclusive FieldShield 8oz Area Tarps (Green, Standard Hem): use 8oz10 during checkout (offer valid thru July 24). 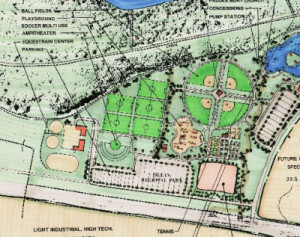 Bozeman Commission approves the plans for northwest sports park ! BOZEMAN, Mont. – An 80-acre empty field off Flanders Mill Road in northwest Bozeman will be the site of the future Bozeman Sports Park soon. The Bozeman City Commission approved the master plan in a 5-0 vote Monday night. There will be 14 multipurpose sports fields, a central park plaza area and a 2-acre off-leash dog park course. It will also include parking for up to 700 vehicles, along with interconnecting trails and access points. The dog park planned will be similar to the one being built near the Bozeman Pond park. About $7.5 million is budgeted toward the project. It is worth noting that the Bozeman school district is planning to build a second high school near the sports park. With all the plans in place Cunningham says he cannot wait. Phase one of construction is scheduled to begin this fall with fields becoming available for use in spring 2018. 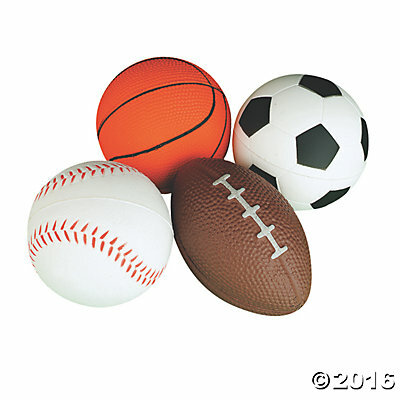 Beacon’s EXCLUSIVE Weekly Ballfields Tips ! It’s time for the MLB All-Star Break and baseball players who aren’t involved in the game are getting a few days off from the grind of the season… Are you? No matter what level of sports turf management that you are involved in, the growing season is your busiest time of year often involving large amounts of overtime hours and many consecutive days of work with little time for rest. But nothing is more important than making sure you AND your crew is periodically rewarded with some time off. It’s even more important for those of you who have a family that rarely sees you during this time of year. Never again lose tarp pins in the grass with these heavy-duty 5/16″ florescent orange tarp stakes. Includes 50 pro tarp pins and tips & instructions on the Beacon Bucket. Exclusive Pro Tarp Pins Bucket: use pins10 during checkout (offer valid thru July 17). (offer valid thru July 17). Custom Netting … SAVE $220! — They’ve gone fast! We’re currently down to one netting option — 14’H x 120’L, white 4″ mesh #504 with vinyl hem/grommets. Like-new condition. 14 x 120 Custom Netting. Big Chill in the Ville draws crowd ! ST. FRANCISVILLE, LA. — As children slid down a 50-foot ice luge, West Feliciana Parish President Kevin Couhig surveyed the crowd of about 3,000 people at the West Feliciana Sports Park for the first Big Chill in the Ville festival. Residents from south Louisiana and southern Mississippi attended the first festival of its type at the sports park. Couhig said the event, which had a budget of $51,000, raised at least $20,000 through sponsorships. In addition, he said beer sales and other food and beverage vendors will contribute significantly to help defray the cost. He said there were some lessons to learn from the event, such as managing the traffic flow. There were a number of attractions for the attendees, including the 50-foot ice luge, water balloon battles, a rock climbing wall, a photo booth and plenty of food. Sno-balls were a big hit as the afternoon temperature was in the mid-90s. Besides music by opening act Boogie Long & The Blues Revolution and headliner Phat Hat, the crowd was treated to a fireworks display to end the evening. Albany, NY / Dougherty recreation complex in ‘conceptual’ stage ! ALBANY, NY — In her year as Albany’s city manager, Sharon Subadan has made it clear that part of her agenda is to push long-stalled projects forward. 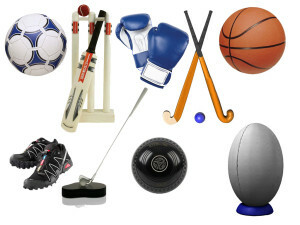 That alone is reason for optimism among sports enthusiasts in the community. Subadan confirmed this week that city officials have started looking at a “preliminary conceptual” plan that would bring a long-delayed, multimillion-dollar, SPLOST-funded sports park to the city. And, she said, it’s very likely that such a facility would be built on land the city owns adjacent to the Paul Eames Sports Complex just off the U.S. Highway 19 Bypass in the northeastern part of the county. City officials are talking with their county counterparts about the proposed park to see if there is continued interest in leveraging funding to make the facility an even more all-encompassing one. The city reportedly has some $2.9 million in SPLOST funding earmarked for construction of a sports/recreation complex. The county has some $1.9 million in special tax funds set aside for construction of a tennis complex. Both projects were approved as part of referenda that set aside portions of the city/county 1 percent tax collections for specific projects. Dougherty County Administrator Richard Crowdis, during a discussion of the county’s SPLOST proposals for Fiscal Year 2017, mentioned ongoing discussions of the proposed sports park with the city. He told county commissioners they would, if that board and the City Commission agreed, utilize their SPLOST funding to complete the tennis complex that had been on the books for more than a decade. Subadan acknowledged that those discussions had been fruitful, setting the stage for what could be a significant complex that would tie in with the baseball diamonds at the Paul Eames complex. “We have to be realistic,” the Albany city manager said. “We don’t have the funding to build a sports park from scratch. But with the facilities already in place (at Paul Eames), our funding and the county’s tennis funding, we would definitely be able to build a nice facility on that land. Under then-interim City Manager Tom Berry, interim Downtown Manager Sharlene Cannon authorized through the Albany-Dougherty Inner City Authority conceptual design for a sports park as part of a redevelopment plan for Albany’s downtown. Consultants recommended tearing down the Albany Civic Center and using the land that was formerly the site of the First Tee golf facility behind the Civic Center to build a state-of-the-art complex. That plan caused a stir in the community among those who opposed demolition of the Civic Center. Under Subadan, the city’s Recreation and Parks department, headed by Rec and Parks Director Joel Holmes, has eschewed talk of demo-ing the almost-40-year-old facility, choosing instead to fund events at the arena. Holmes told the City Commission at a recent work session that some 116 events had been held at the Civic Center during FY 2016, attracting some 96,881 attendees. 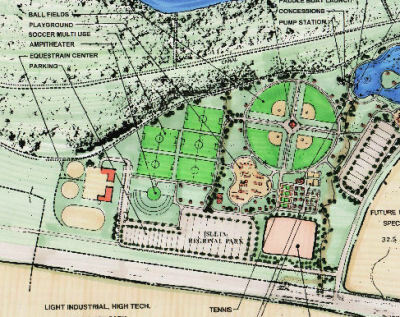 Subadan did not offer specific plans for the proposed sports park, but upgrades of Eames’ baseball diamonds, soccer pitches, walking trails and kids playground equipment have been mentioned by various city officials. The proposed tennis center, Crowdis noted, would include restrooms and some sort of all-purpose building, as well as lighting for a possible 10-court complex. The city manager, meanwhile, said she plans to escalate talks about the project in the very near future. Bye bye, ball glove: Aurora Sports Park sculpture eyed for removal over hefty maintenance costs ! The deaccession marks an unprecedented move in Aurora, according to Roberta Bloom, public art coordinator for the city. She said that this will be the first time the city will have nixed a creation from its public collection. The “Glove Bench” in Aurora Sports Park. AURORA, CO. – No amount of patching, primping or paint has been enough to save a decaying baseball glove in the Aurora Sports Park. A roughly 6-foot-long concrete sculpture of a baseball glove, originally cast by artist Rik Sargent, is in the process of being deaccessioned by the Aurora City Council and the city’s Art in Public Places Commission due to excessive maintenance fees, according to city documents. 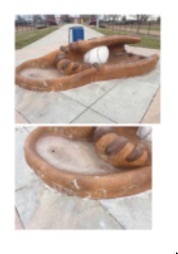 The city has spent a total of $13,192, or about $1,000 a year, in attempts to maintain the so-called “Glove Bench” since it was installed at Aurora Sports Park in 2002, according to an April 7 memo sent from Tracy Young, manager of the city’s Parks Department. The piece, which was installed by Sargent for a fee of $38,500, began deteriorating about a year after it was created in June 2003, according to Young’s memo. Maintenance attempts have included repairing cracks in the concrete, power-washing, and unclogging a drain. The most expensive attempt at fixing the piece came in 2008, when the city contracted a firm called Concrete Doctor to power-wash and sandblast the glove, as well as resurface it, for $4,800. The “Glove Bench” in Aurora Sports Park.“It is impossible to keep the piece looking good,” Young wrote in her memo. Both Sargent and related city agencies agree that the time has come for the glove’s demise. “The artist is in agreement that continued maintenance will not remedy the situation and the piece will continue to deteriorate,” according to minutes from the May 3 meeting of the city’s public relations, communications, tourism, libraries and citizen groups policy committee. However, the departure of the bench will be disappointing, according to Young. “Precisely because it is such a popular piece, recorded in many team photographs over the years, the deterioration of the artwork is painfully apparent to everyone,” she wrote in her memo. The latest phase of ongoing renovations at the Sports Park were completed earlier this spring. Bloom said that the glove will eventually be replaced by another piece of public art. “There will be plans to replace it with another piece of art and to make whatever changes we need to make to make this piece successful,” she said. The AIPP Commission, Cultural Affairs Commission and Public Relations Policy Committee all signed off on deaccessioning the glove at their respective meetings earlier this spring. The item passed out of a recent council study session and council members are expected to hold a final vote on fate of the mitt at an upcoming meeting. Pending council approval, the dismantling of the glove won’t begin until teams have ceased using the nearby baseball fields for the season, according to Bloom.